Karachi, January 28 (Express Tribune): For the first time in Pakistan’s judicial history, a woman belonging to the minority Hindu community has been appointed as a Civil and Judicial magistrate. 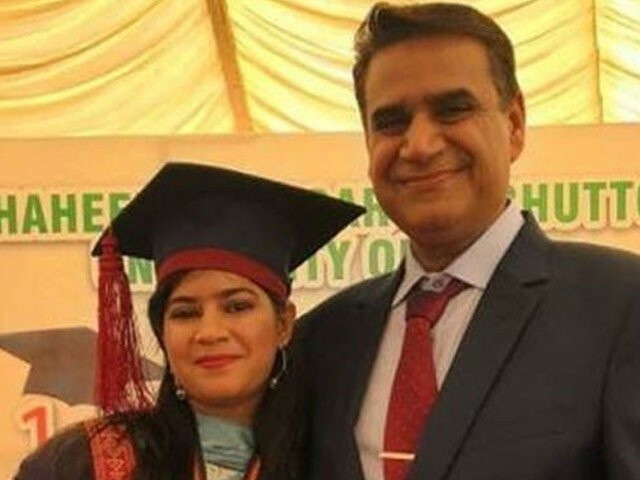 Suman Bodani, hailing from Sindh’s Shahdadkot district, was declared eligible for the post after passing her Judicial Officers’ examination with flying colors – securing 54th position on the merit list,. Speaking to a foreign news outlet, Bodani said she belonged to an underdeveloped rural area of Sindh, where she witnessed the poor struggling to cope with various challenges life throws at them. “They cannot even afford to lodge cases, and that is the reason behind my decision to join law studies so I can bring justice to them,” she was quoted as saying. After completing her intermediate from her native town Shahdadkot, Bodani pursued law and acquired a Bachelor of Law (LLB) degree from Hyderabad and a Master of Law(LLM) from Shaheed Zulfikar Ali Bhutto Institute of Science and Technology (SZABIST) in Karachi. Bodani also said she faced resistance from her own community as they did not like girls working in the law field. However, her family including her father and siblings extended their full support to her. Hindus make up nearly 2 per cent of Pakistan’s total population. While the Hindu community has made their presence felt in the country, including the government and theparliament, Hinduism remains the second largest religion in Pakistan after Islam. Pakistan is the fifth largest country that is home to the Hindu community. By 2050, it will become the fourth largest country containing Hindu population.